Happy New Year from 7Spears! We hope this finds you refreshed, gifted, and resolved to make 2018 the best year yet! Our last few posts have really concentrated on the “Average Joe” citizen whom we felt could use some practical tips to get through the season in a safe and secure manner. 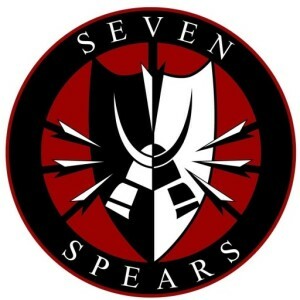 It was a good way to introduce the 7Spears’ blog to our entire fan base without alienating those who aren’t “in the business”. With the new year comes a shift in gears a bit. While the International Travel Security series will have a TON of useful tidbits, tips, and tricks to make anyone’s travel a little more effective and safe, this series will mainly be focused to our core audience – the security practitioner. In each issue of our International Travel Security series we will give you two perspectives. The first perspective will be that of the security practitioner who does the traveling. We hope to provide the reader with practical and useful information that will help you be more effective, safer, and maybe just a little more efficient than you usually are when you travel. The second perspective will be of the security practitioner who runs the Command Post (CP) at the home office. Don’t get caught up in the semantics of “CP”. Whether you have the resources for a fully staffed Global Security Operations Center (GSOC), a forward-deployed CP, a Travel department responsible to cover all of this, or if you’re a small business or IC who just has someone at home keeping tabs on you while your away, this section will offer practical guidance on how to be effective. It should be said here that even “civilians” should have someone at home that keeps tabs on their travel…but we’ll get into that later. So why is International Travel Security so important? The US Travel Insurance Association (USTIA) recommends that all travelers (regardless of whether they are tourists, business travelers, or practitioners) educate themselves on the right way to travel and to make themselves aware of the resources available to them to increase safety, accountability, and communication. With the recent uptick in terrorist attacks in Brussels, Paris, Madrid and London (just to name a few), civil unrest, refugee migration, natural disasters and many other factors, the simple fact is that International Travel Security is no longer an issue left to those traveling to the world’s “hot spots”. The globe is a hotspot. 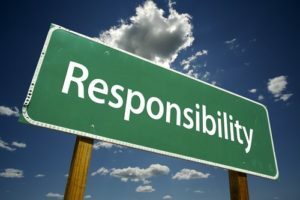 There is also a Duty of Care factor that must be considered. This is a complicated topic that delves into insurance and legal issues best left to your company’s General Council. But for the security practitioner, it is important to understand that if a company requires its employees to travel or work abroad, then the company also incurs an obligation to ensure those employees are properly trained to face the potential risks they will be exposed to. 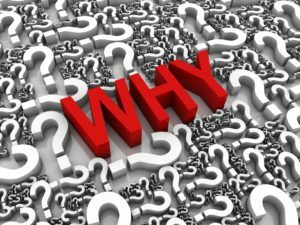 International SOS has a great article on this subject. The company also has a duty to ensure that the necessary tools, policies, and procedures are in place to effectively support those travelers to prevent, protect, and respond to an incident, should it occur. Not only is this a legal requirement, it’s the right thing to do. And that’s where we come in. Appropriately, it should be the trained and proficient security practitioner that consults on the training programs, policies, procedures, and resources that are put in place for a company to live up to its Duty of Care to their employees. Installment 2: Pre-Travel Considerations. We will discuss travel intelligence, trip planning, medical and insurance issues. Installment 3: Travel Security Specifics. We will discuss international travel best practices, secure communications and OPSEC, anti-crime and anti-kidnap preventative measures, and the use of facilitators. Installment 4: Post-Travel Considerations. We will discuss the role of OPSEC post-trip, as well as medical issues, and report writing that should be completed (whether it’s a requirement or not). Installment 5: Emergency/Contingency Issues. In our final installment, we will discuss all the outlier issues that we should be aware of, “just in case”. This will include topics such as properly constructed Emergency Action Plans (EAPs), Go Bags, the use of embassies for support, emergency communications, and dive deeper into medical evacuation and other contingency insurance. All the while, we will attempt to provide you with the best resources for deeper information and support to fit your specific travel requirements. See the Useful Resources section at the bottom of each installment. To be sure, a simple Google search on Travel Safety or Travel Security will result in numerous helpful resources. We want to highlight a few that we found most valuable. We would be remiss if we didn’t end today’s introduction to International Travel Security by mentioning that 7Spears has a great resource available for FREE to anyone who wants it. 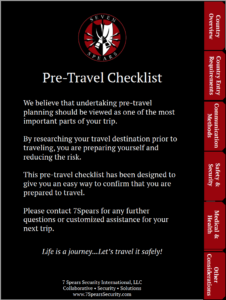 If you’d like a copy of 7Spears’ Pre-Travel checklist, please reach out to us at info@7SpearsSecurity.com or just click the Contact Us link at the top of this page. Mention the checklist in the subject line. As the world shrinks and businesses become more globally focused, international travel continues to be a necessity. Unfortunately, this concept introduces increased vulnerabilities to terrorist attacks, crime, civil unrest, natural disasters, and a myriad of other issues that are foreign to the state-side traveler. An effective International Travel Security program helps mitigate this vulnerability. A well-prepared traveler is more productive and better prepared for the unfamiliarity that comes with working and living in a new environment. Companies have a duty to prepare their employees to conquer these challenges. As security practitioners, we have a responsibility to provide our expertise to our clients. We should be an integral part of the preparation, planning, and response incorporated into a Travel Security program. Having a well-prepared traveling work force can only make our job easier as well. https://insights.etravelsafety.com/travel-tips/ – A library of video articles related to travel safety. This company can help you establish and maintain a robust travel security program that meets your requirements, regardless of your size or industry. http://www.travel-security-handbook.com – Book, “Travel Security Handbook” by Sven Leidel. An interesting perspective on international travel from a non-American with TONS of useful information. P.S. We love collaboration! Please leave a comment, disagreement, or point of discussion in the comments below. If you liked this article, please feel free to share it on social media! If you need more detailed assistance on challenges specific to your family, group, or company, please contact us via the “Contact Us” link or email info@7SpearsSecurity.com. And dont forget to subscribe to our blog to continue the collaborations process (just fill out the form on the right)!